Sanjit is a documentary photographer. Sanjit’s keen interest in social issues is evident in his role as a chronicler, it lends a glance at the individuals living through the transformation of the economic and political landscape of developing countries. 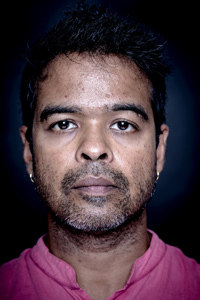 Sanjit’s regularly works for leading international magazines, publications and corporate clients and depending on assignments, he incorporates his documentary style for fashion, travel and advertising clients as well. His work is published by Atlantic, Mother Jones, TIME, Newsweek, Bloomberg Businessweek, Le Monde, Financial Times, Sunday Times, The New York Times, The Wall St. Journal to name a few. Apart from working with publications, Sanjit also works with different international UN agencies and other donor foundations. Some of his corporate clients include consulting groups and corporations like McKinsey & Co., Ernst & Young, American Express, Facebook, Rollsroyce, Nestle etc. Sanjit is a member photographer of Panos Pictures. He currently lives in Kuala Lumpur, Malaysia and covers South East Asia and South Asia. Sanjit is also a global imaging ambassador for Sony Cameras. 2015 : Solo exhibition, River Brahmaputra. SONY Ginza Gallery, Tokyo, Japan. 2012 : Group exhibition, Ichha to support Girl Childs Education, New Delhi, India. 2010 : Freedom to Create Exhibition : Queen’s Palace complex in Kabul, Afghanistan. 2010 : Freedom to Create Exhibition : Ana Tzarev Gallery, NY, USA.